As I have not posted anything on Star Trek novels lately like I used to I will give a brief summary of what has happened on this front. Here is the cover of Starfleet Academy The Assassination Game. ‘Starfleet Academy The Assassination Game’. First of all is the prospective release of the Young adult novel ‘Starfleet Academy The Assassination Game’ by Alan Gratz late June next month, I say prospective because even though it is highly expected by fans there has been no information on this book whatsoever. Meaning no new synopsis, front cover or interviews by the author. Which gives rise to fears that its release date has slipped. More on this topic during the coming month. Star Trek: Typhon Pact: Plagues of Night. Second bit of news is the release of the next Typhon Pact novel ‘Plagues of Night’ late this month followed by ‘Raise the Dawn’ next month, both novels will continue the storyline of TNG, DS9 and VOY characters as they for many months have little to do when authors don’t write Star Trek Novels. As for the synopsis and spoilers I would recommend other sites or just sit tight until the first novel is released. Typhon Pact will return in September with ‘Brinkmanship’. 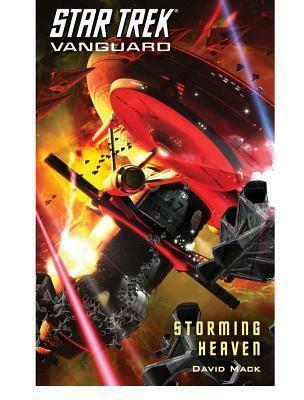 Star Trek Vanguard: Storming Heaven. 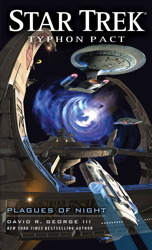 Recently the novel series Star Trek Vanguard concluded with ‘Storming Heaven’ written by David Mack, according to reviewers it was not as good as earlier iterations it was nonetheless a spectacular conclusions to this series. Pick it up if you want to know how Vanguard ends. 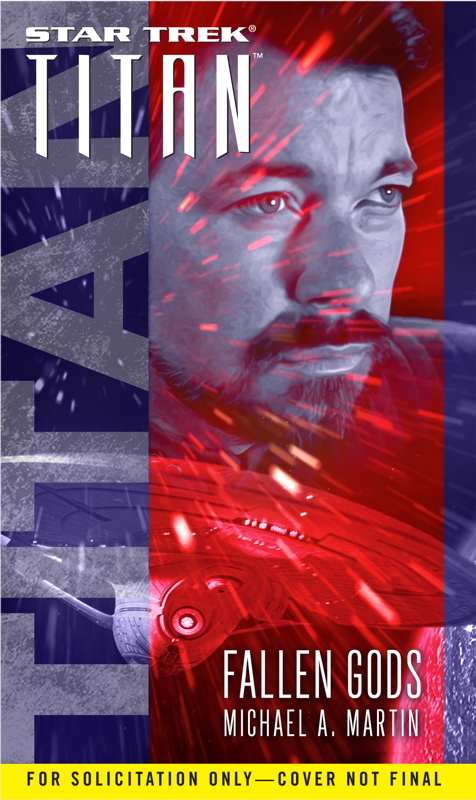 Star Trek Titan: Fallen Gods. In July Star Trek Titan will return with ‘Fallen Gods’, sad to say I do not know what to expect, after the first two novels in the series I found it all rather too conventional. Perhaps I will give Fallen Gods a chance this summer. In November author David Mack will start of a new Trilogy entitled ‘Cold Equations’ which promises to bring three engrossing but highly individual stories. The novels are set in the TNG universe and will reportedly still have the Typhon Pact as a back story. Well I certainly can’t wait. It’s about time someone let in a bit of fresh air into TNG. Star Trek: Department of Temporal Investigations: Forgotten History. Talking about time, last month the second book in Christopher L. Bennet’s series Department of Temporal Investigations (DTI) was released. The second book is entitled ‘Forgotten history’. 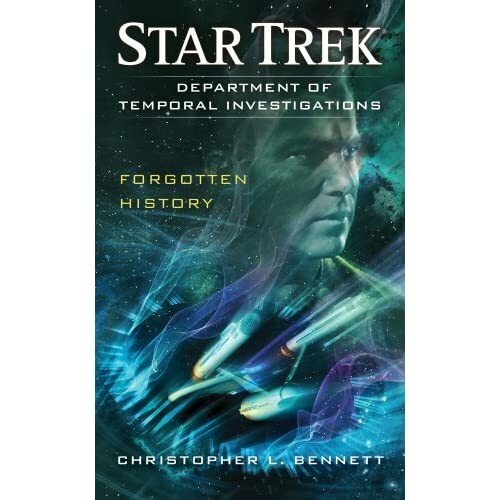 I recently read the first one which I thought was a really thorough Star Trek work, the author certainly shows he masters all the series and their details. The novel was also provocative, it searched up new boundaries for Star Trek and in doing also proved quite mind bender. Please stick around for the review of the second book in the DTI series. 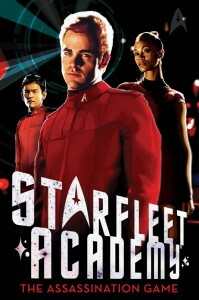 Starfleet Academy The Assassination Game cover revealed! Next story Fringe ‘Brave New World’ Part 2 Preview! Previous story Fringe ‘Brave New World’ part 1 review!